As we all know, Snapchat’s going through some rough time. Let’s say that if it had a Facebook account the latest update would have been “In a complicated relationship with the Internet people”. Even though Instagram Stories replaced Snapchat as the coolest app on the market, the latter didn’t give up and kept creating features to regain its place in the hearts and screens of the consumers. What is the Snapchat Paperclip? Snapchat Paperclip was launched in the summer of 2017 and is named after the well-known icon that represents hyperlinking. If before this feature, adding links to your snaps were available only to advertisers and big brands, now everyone can add a link to their photos or videos. 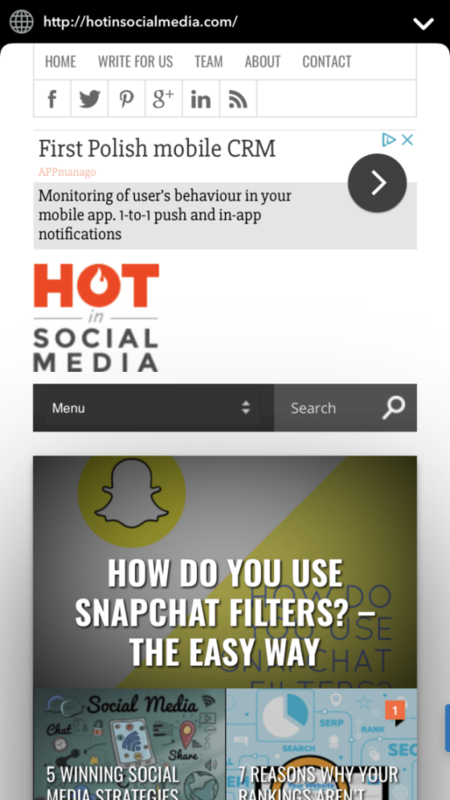 Snapchat gained its popularity in the beginning with the fact that it was a closed platform that strived to keep its users inside the app, but along with this feature came the possibility of exiting the app…and not so much! All the users need to do is swipe up and reveal the content of the link and swipe down to go back to Snapchat. 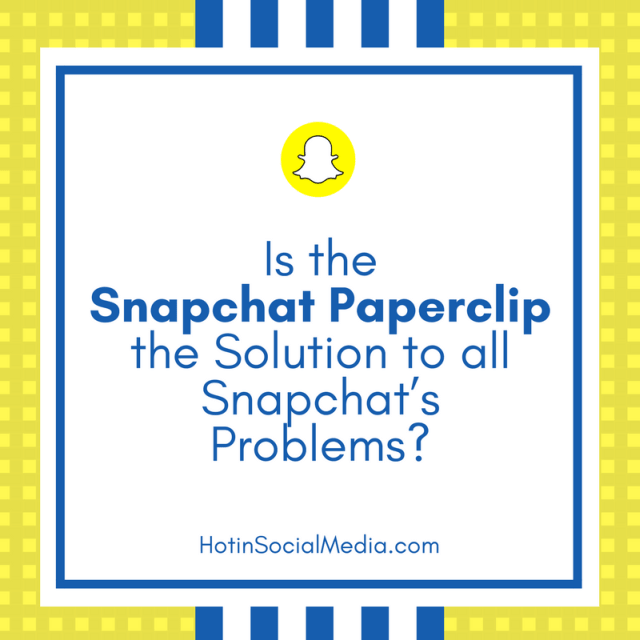 So, Snapchat’s Paperclip finally gives marketers an opportunity not only to better engage with users but also see the results of their marketing efforts. Directing users to websites, offers and closing deals with them is now much faster and transparent. Snapchat made this tool easy to use for everyone. First, you need to take a photo or a video or choose one from your library. I’ve chosen one from my library for this example. 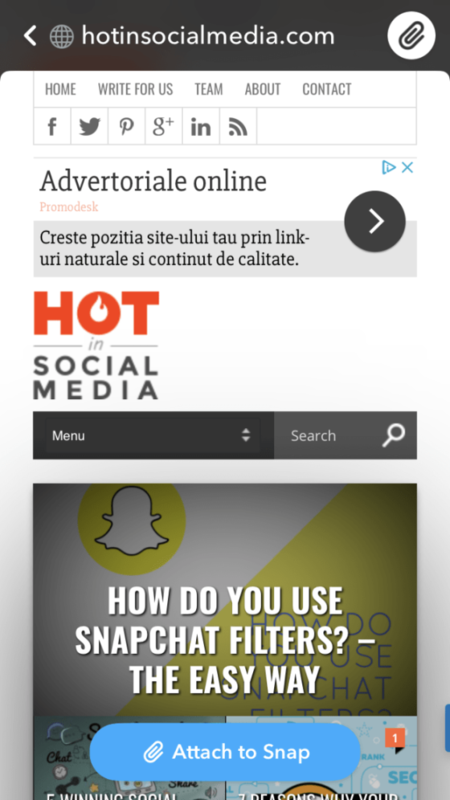 Next, choose the Snapchat Paperclip tool from the right-hand side of your screen and type or paste your website. 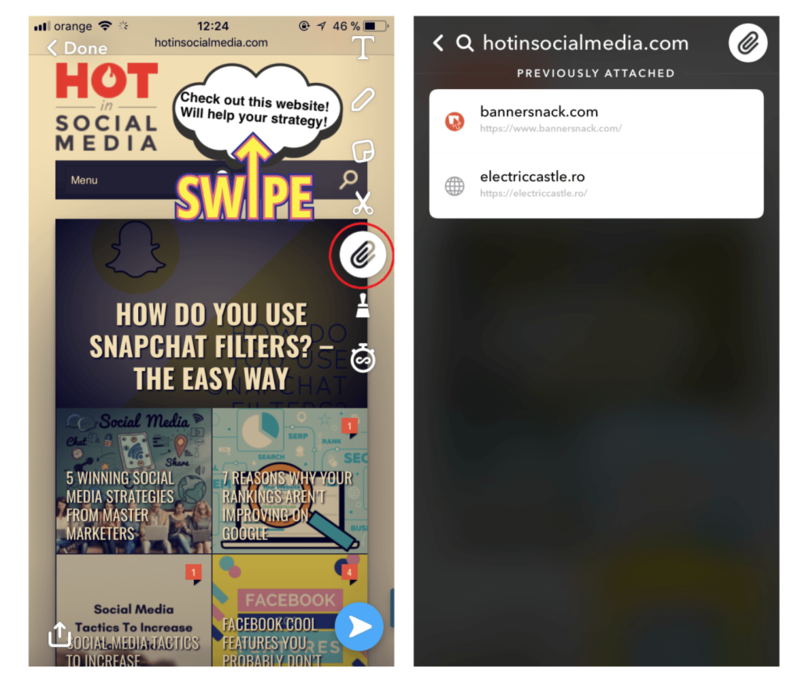 Once you added your website, a blue button with the message “Attach to Snap” will appear on the bottom of your snap and you’ll be able to see a preview of how the website will look. 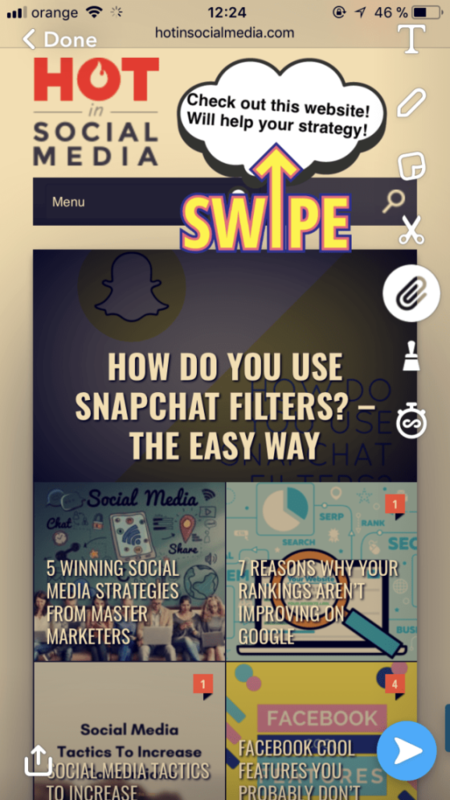 After you submit your snap, your users will be able to swipe on your snap and see the website you’ve attached to it. There are many ways in which you can take advantage of this new feature from Snapchat. If you have sales, you can simply add your special landing page which you’ve created for the sale of your snaps, and users will easily be able to buy from you directly from the app. Another use could be directing your users to your physical shop or place of activity by adding a link to a map. This would be really useful for the ones looking for you since they wouldn’t have to go through the whole process of finding you on Google or Facebook to find out your location. Basically, if there’s anything more you’d like to say to your followers or if you’d like them to continue interacting with your brand, using a paperclip and adding a website to your snaps could be now the solution to the whole bunch of problems marketers had with this app. So, what do you say? Are we giving Snapchat another chance?